A church split, a failed leader, changing economics or an aging congregation, there are many reasons for a church to be struggling and in decline. In fact, of the approximately 350,000 churches in the U.S., far more are in need of a major turnaround than are healthy and growing. It’s true that both church planting and the multi-site model are highly productive strategies to advance the local church, but we can’t ignore or dismiss the tens of thousands of struggling churches. There is always hope! My friend Brad Powell led his church to a great turnaround and found so much passion for helping struggling churches that he wrote a book titled: Change Your Church For Good, The Art of Sacred Cow Tipping. (Thomas Nelson) I highly recommend it. 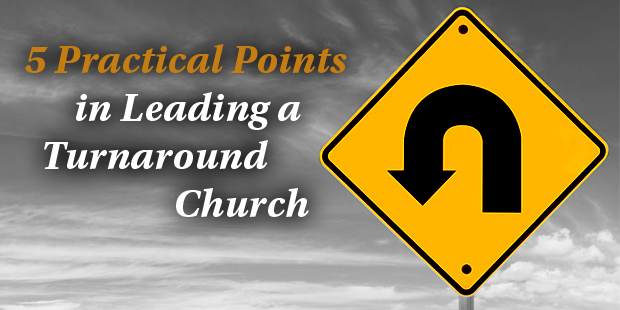 There are layers of complexity involved in any turnaround church scenario, but the core principles are always similar. The following practical points will help you lead your church back to the place you dream it could be. Most struggling churches think problems. Leaders think solutions. John Maxwell says: “Everything rises and falls on leadership.” It’s true. 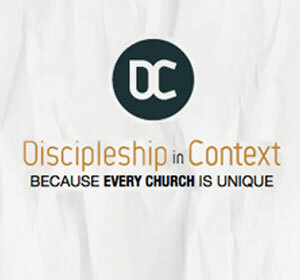 A church can be friendly, debt-free, and teach the Bible and still be going nowhere. A leader brings purpose to the party. It’s great that the church gathers, but after a few hundred Sundays of “church” without a clear purpose the people find other things to do. Busy is no longer a virtue. Reaching people for Jesus has always been the central theme and mission of the church, anything other than that is largely just being busy doing church. It takes leadership to drive mission because the church naturally drifts toward comfort in fellowship rather than risk in reaching people. The pastor and leaders need to be willing to make tough decisions or a turnaround will never happen. Most churches are just one tough call away from a breakthrough, and the leader usually knows what it is. It’s the willingness and courage to actually do it that makes the difference. You can’t solve a problem if you won’t admit there is a problem. Churches and their leaders work so hard to keep everyone happy and everything nice. The problem with that is that it’s not real. Get comfortable with problems because you will always have them. Good leaders solve them and thereby move the ball down the field. Essentially a leader makes progress, (toward the vision), solves problems and helps people. It’s healthy to talk about a ministry area that is weak and in need of improvement. Maybe it’s the children’s ministry, or perhaps the usher’s team or the worship team. That’s okay, as long as you do something about it. Perfection isn’t the goal, the point is to make progress. The conversations should not be negative or discouraging, just honest. Never allow meetings to turn into complaint sessions. Gather small groups of leaders who will be candid, positive and produce solutions. It can be done! 3. Establish trust and hope. It is not uncommon for a struggling church to have experienced some form of hurt or discouragement. This usually involves broken trust and thereby erodes hope. Healing is needed to reestablish trust and this takes time. There are several ways this can happen, and often requires multiple efforts. For example, the pastor can teach a “Shepherding” sermon series through the Psalms. The pastor or board members can lead small group discussions for honest conversation to take place. And an outside consultant can be brought in to help bring the congregation through a difficult season. If broken trust is not the issue, but the congregation is tired and has little hope, hope can be restored by quick wins and vision. Remind the congregation that the Church is God’s idea and He owns it! He wants it to work and gives the power of the Holy Spirit for that very purpose! 4. Realize the power of quick wins. Effective church ministry is more like a marathon than a sprint. It’s a long road full of hills and turns. Small victories along the way are vital to finishing the race, and essential to begin the turnaround process. One small church was discouraged and didn’t think they could do anything. Every wall in their worship auditorium was covered in dark wood paneling and several light bulbs were burnt out. It was depressing. The pastor inspired the congregation to raise about $800 for paint, supplies and light bulbs. They tore down the paneling and painted a fresh coat of white paint and it was like they were in heaven. They were fired up again! Another pastor raised about $600 and started a food co-op in their town. Their church became outward focused and in one weekend they felt renewed and recharged. Both congregations began to believe they could turn things around. The small wins gave them tangible and practical hope for success in the future! 5. Create spiritual intensity within your vision. Over the years I’ve worked with hundreds of churches, many of whom craft an intelligent, biblical and creative mission/vision statement. But for some reason it doesn’t seem to work. In many cases, one of the primary missing ingredients is spiritual vitality. There doesn’t seem to be a sense of spiritual intensity that carries with it a passion to make things happen and go the extra mile to reach one more person. Prayer is at the core of spiritual intensity and evangelism is a close second. Together they will keep a church white hot for the vision. Intensity does not suggest weirdness. It’s not an ascetic sense of guilt driven sacrifice. It’s actually the opposite. Its origin comes from people who genuinely love God and are fired up about Kingdom work, so much so that joy and service are a natural by-product. Vision requires strategy. If you are not sure where to start, focus on improving three areas. 1. Your worship service. 2. Your children’s ministry. 3. Your small groups ministry. And always undergird the ministry processes with leadership development. For ideas on leadership development, visit my blog at danreiland.com.